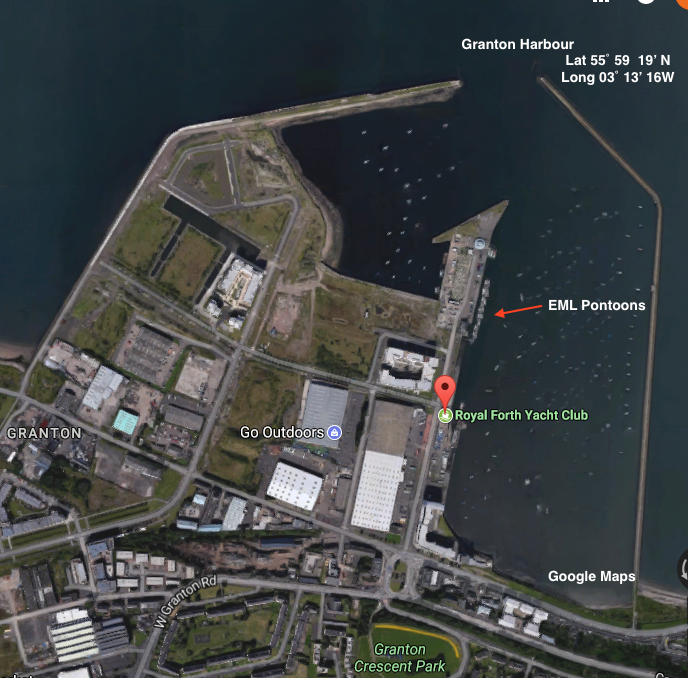 The Edinburgh Marina is a jointly owned venture of the two yacht clubs at Granton, the Royal Forth Yacht Club and Forth Corinthian Yacht Club. You can see their details by clicking on the links. 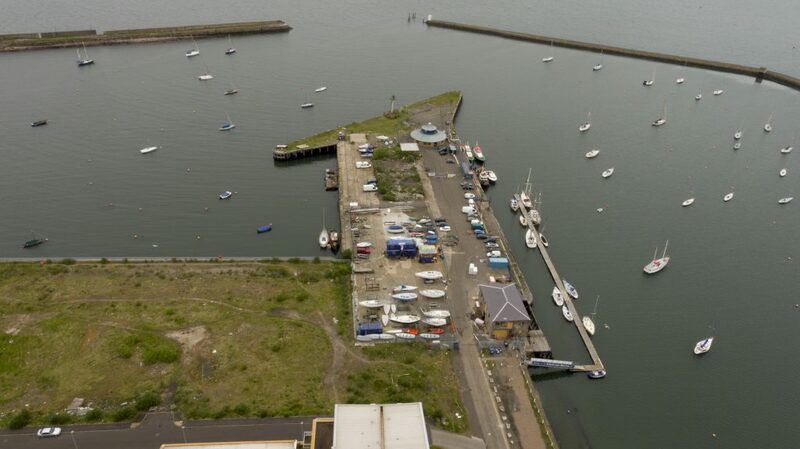 It is the only marina that is within easy reach of the centre of the City of Edinburgh. We have had visiting boats of up to 70 ft and there are direct buses to the City and direct to Edinburgh Airport. Berthing is limited during the winter months and visitors may need to raft alongside boats berthed for the winter. The full opening hours are shown in a cabinet at the top of the ramp and in the cabinet outside the yacht club. Outside opening hours there is a payment envelope which can be completed and put in a club letterbox. For fuller details of the process see Payment out of hours. If planning or expected to arrive outside the scheduled hours, the pontoon access number can be obtained in advance by telephoning and leaving your details with the office or bar. There are frequent buses into Edinburgh City Centre and direct to the airport (Service 200). The pontoon has water but no shore power. Toilet and shower facilities are available at the FCYC club quarters at all hours and also at the RFYC club house while the club is manned (0800 to 1700 Tuesday-Friday and 0800 to 2100 hrs Saturday/Sunday) or by key-pad access. Visitors should come into the RFYC Club to register and pay the berthing fee and they will be given the access number for key pad access to the club which will (normally) allow entrance 0800 to 2100 daily. These hours may vary due to operational reasons. Dredging has been done at the pontoons to improve access; at present the depth in the harbour approach to the pontoon is 1.2 metres below chart datum though there is a small hump of 0.5 metres below datum just before the pontoons. For most tides this is not a problem. Depth on the pontoons is now at just below chart datum for most of the inside and half the outside of the pontoons. The outside southern half is just above chart datum. The bottom below the pontoons is soft mud. 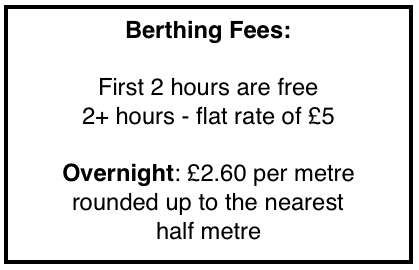 Berthing charge for visitors is £2.60/m LOA (rounded up to nearest 0.5 m) per night. Payment to be made at RFYC office or bar on arrival. Access to the pontoon from land by key pad, with the number available on payment of berthing charge. 7 days stay are charged as 6. No stay can be for more than 14 days except by prior arrangement. 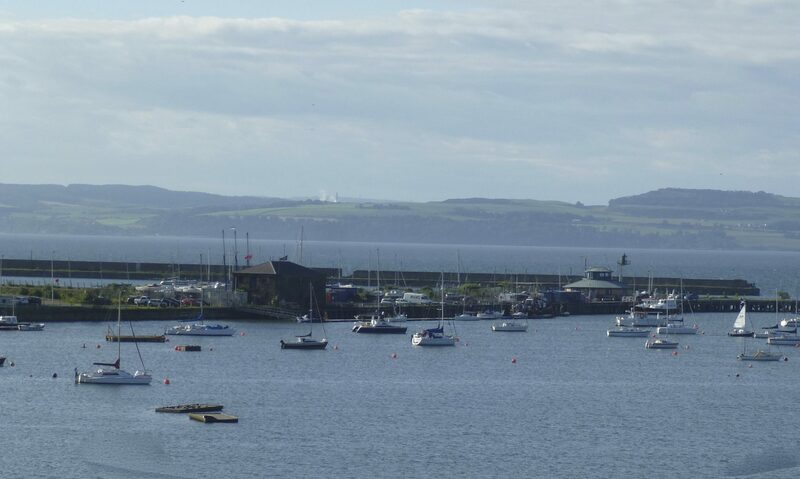 Visiting crew are very welcome to use the facilities of the Royal Forth Yacht Club and the Forth Corinthian Yacht Club. 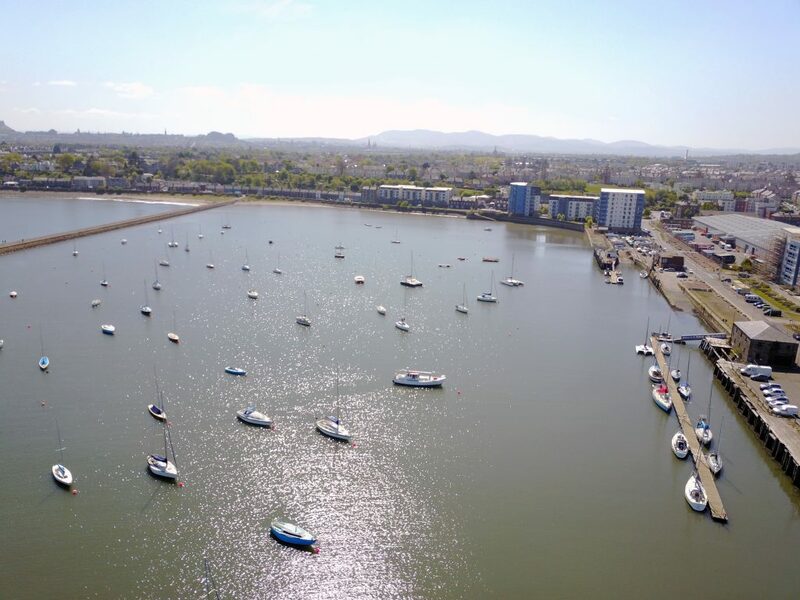 The Key Access Number to gain access back onto the Pontoon and the FCYC toilets and showers and the Key Access Number for the entrance gate and door into the RFYC Club can be obtained on payment of the berthing fee at the Club Office (phone 0131 552 8560) (0800 hrs to 1400 hrs Tuesday to Friday) and at the Club Bar (07551 426 813) which is open limited hours. Outside these hours the Key Access Number to gain access back onto the Pontoon and the FCYC toilets and showers can be obtained by telephoning 07434 542997. Leave the name of your boat and the number will be given to you. The pontoon is visited every day by a volunteer and there are visitor information sheets at the head of the access ramp. Both clubs do their best to make visitors welcome. Please give advance notice and seek further information by phoning RFYC admin on 0131 552 8560 or email royalforth@btconnect.com.